“Action of MCI of removing the name of Doctor from medical register reflects non application of mind and entails perversity” – Hon. Rajasthan High Court. This was the observation made by the Rajasthan High Court the judgement of Dr. T.C. Sadasukshi V/s. MCI & ors. 1. The Petitioner Doctor challenged the order dated 10-1-2013 passed by the Medical Council of India (MCI) which struck off the name of the Petitioner from the Indian Medical Register for a period of eighteen months and also the order of Rajasthan Medical Council (RMC) directing striking off the petitioner’s name from the Register of Registered Medical Practitioners in Rajasthan for a period of eighteen months. 2. The Respondent No.4 Ajeet Singh Singhvi made a complaint to RMC , alleging misconduct on the part of the petitioner and two other doctors of Sawai Man Singh Medical College and Hospital Jaipur resulting in the death of his mother Jatan Kanwar Singhvi on 28-4-2000. 3. The case of the complainant was that the procedure/ operation performed by the petitioner was without the consent either of the patient or any of her family members and it was also indicative of reckless medical negligence, consequent to which his mother expired. 4. It is pertinent not note a three member committee of State medical council was formed and it found no negligence on the part of the petitioner and other doctors who treated the complainant’s mother. 6. The controversy started thereafter. The MCI however appeared to have seized the transfer application referable to clause 8.7 of the Regulations of 2002 as an appeal against the RMC’s order dated 26-10-2007 under clause 8.8 of the Regulations of 2002. 7. It directed the Principal, SMS Medical College Jaipur to arrange for an enquiry into the matter and send the report received thereupon to its Ethics Committee. The Principal SMS Hospital Jaipur constituted a Committee of five doctors of the SMS Medical College Jaipur. Vide its report dated 30-8-2011 the Committee constituted by the Principal SMS Medical College Jaipur exonerated all doctors including the petitioner of the alleged medical negligence and held that the allegation of lack of consent by the petitioner for undertaking the surgical procedure of the late Jatan Kanwar Singhvi on 3-4-2000 appeared to be an outcome of miscommunication. The report of the enquiry dated 30-8-2011 was forwarded to the Ethics Committee of the MCI on 1-9-2011. 8. 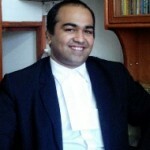 The petitioner’s case is that the Ethics Committee of the MCI in its meeting sometime between 23-8-2011 and 1-12-2011 took a decision that no further action was required against the petitioner and two other doctors for their alleged negligence in treatment of complainant’s mother as none was made out. 9. However the Ethics Committee of MCI appears to have again met on 1-12-2012 and taken up the matter afresh. On 17-7-2012, the Ethics Committee noted that one of its member would look at the issue of medical negligence in the treatment of the complainant’s mother and thereafter proceed further and the Committee concluded that the petitioner was guilty of medical negligence for two lapses i.e. (i) no proper informed consent was taken, and (ii) did not carry out adequate investigation and assessment of the patient as were required, to arrive at appropriate diagnosis. Hence the petition filed with the court. 1. After hearing of the parties at length and considering the Record, it was held by the Hon. High Court that the decision of MCI reflects non application of mind by the MCI and entails perversity on its part on its conclusion as to the petitioner’s medical negligence. The decision was reversed without just cause and lack of jurisdiction to review as the MCI is a quasi judicial authority. The Court considered this case to be fit for exercising its extraordinary jurisdiction to interfere with the findings/ conclusions of an expert body, which generally Court would loath to interfere. 2. In the present the appeal provided for as per Clause 8.8 of the Regulations of 2002 an order of the State Medical Council on any complaint against a delinquent doctor was not filed and the MCI has usurped jurisdiction as the appellate authority treating the evidently infructuous transfer applications as an appeal. 3. Moreover, the expert Committee of 5 Doctors of SMS Medical College, Jaipur formed at the instance of MCI, also unanimously found that neither the petitioner nor the other two doctors were guilty of the alleged misconduct of medical negligence. However the MCI did not consider this report At all !! 4. 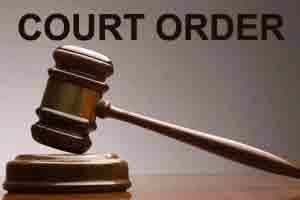 The writ petition was allowed accordingly and both the impugned orders were quashed and set aside. The PEtitioner fought to take the case to its logical end, but at what cost ?. Inspite of 2 committees exonerating Doctors, from charges of Medical Negligence, its strange and unfortunate that the MCI and RMC usurped the Jurisdiction not available to them.. Most hated organisations by doctors MCI and IMA- an organisation headed by most corrupt cronies of most corrupt doctor of the world -The wicked crocodile skinned immoral blacky ugly KETAN DESAI. MCI and IMA do not represent the doctor fraternity.Both need to be liquidated. Why shouldn\’t MCI and RMC made to pay compensation for the harassment of concerned Doctor?